BBC Trust has asked for further clarification over some issues it has with Project Canvas – the much-mooted online venture by BBC, ITV and BT. The project has been created to "promote a standards-based open environment for internet-connected digital television services," but it is facing a set-back as issues have been raised over how the venture will actually work. "A common theme that emerged was that more information was needed from the BBC Executive about the Canvas proposal," explained trustee Diane Coyle in a statement. "We have asked the Executive to look at the issues that stakeholders have raised and report back to us." The issues raised in the report include: the control of the EPG; what the actual technical standards will be; and who will have decisions over editorial. The BBC Trust may have placed a small spanner in the works, but the extensive report has been backed by those involved with Canvas, explaining: "Canvas will maximise choice for consumers, sustain the long-term future of free-to-air broadcasting and promote broadband take-up. "Internet connectivity will have a transformational effect on TV. A viewing experience unconstrained by broadcast spectrum will give a far greater range of content providers access to the living room, creating unprecedented consumer choice and control over what content they view and when." 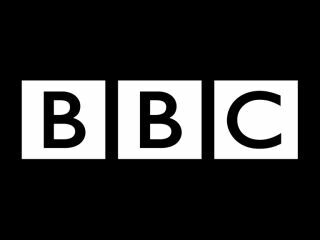 Although the decision about Project Canvas was due in July, as more details are needed the BBC Trust is set to revise its timetable for the venture and announce a new date in due course.